Facebook - From J.Kobylka Reptiles: “Introducing: the Pastel Highway Clown! As promised… thrilled to reveal this amazing animal! Honestly shocked at how it turned out – really didn’t know what to expect. 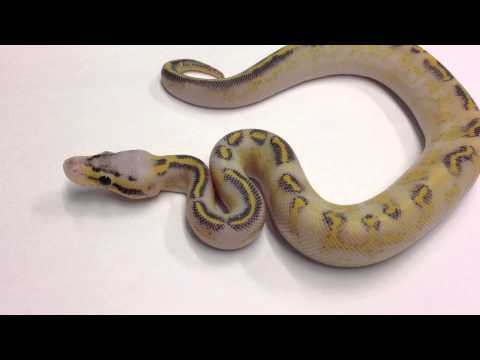 Bush League Breeders Club - See the stunning ball pythons that a member produced in their pastel highway clutch. On the Web - Justin Kobylka shares photos of the phenomenal pastel highway pied ball python that he produced after its first shed. Bush League Breeders Club - Here’s a nice picture of a rather striking ball python morph that we hear surprisingly little about. YouTube - Justin Kobylka and World of Ball Pythons team up for a holiday Advent calendar, of Ball pythons! Day ten is a Pastel Highway. Facebook - Markus Jayne continues to excel in the Ball python world, and this Butter Blade Clown is a fine example! See the full size pic after the jump!